VATICAN CITY (CNS) -- German Cardinal-designate Karl-Josef Rauber said he would be more than content to continue celebrating daily Mass and hearing the confessions of the Schonstatt Sisters he lives with and helping out with confirmations in the Diocese of Rottenburg-Stuttgart. 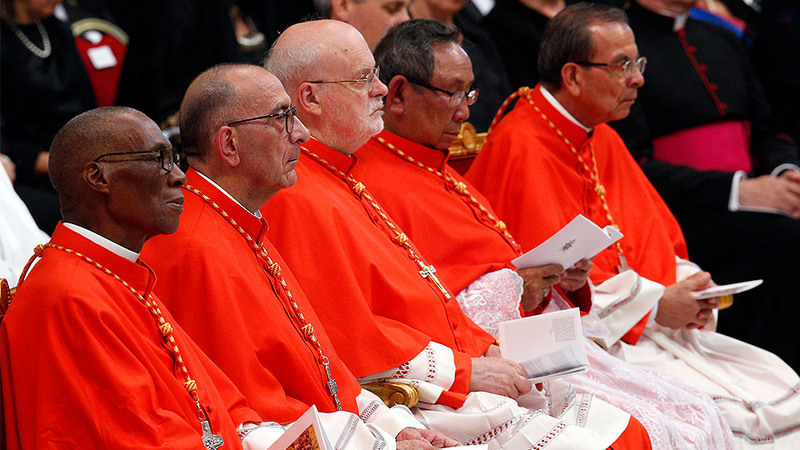 The 80-year-old veteran Vatican diplomat said he knows he must travel to the Vatican to receive his red cardinal's biretta from Pope Francis Feb. 14, but after that he hopes his life will return to normal as a chaplain for the sisters. 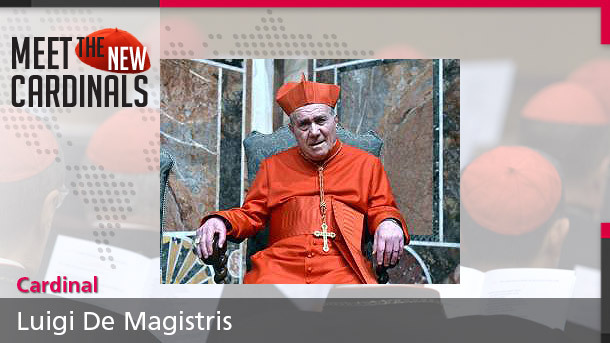 Because he is over 80, Cardinal-designate Rauber will not be appointed a member of a Vatican congregation or council, a key task of cardinals in the church's day-to-day operations. He also will be ineligible to vote in a conclave to elect a new pope. He told the German Catholic website Katholisch.de that he had no idea how Pope Francis came up with his name when he announced the new cardinals Jan. 4. The future cardinal had a brief conversation with the pope last May after concelebrating the early morning Mass in the chapel of the pope's residence. "He said, 'pray for me.' But I'm not any closer to the pope than that." Pope Francis might have heard about the German prelate from people he had worked with in Vatican nunciatures in Europe and Africa, he said. Perhaps the pope heard about the role the archbishop played in resolving a conflict in the Diocese of Chur, Switzerland, he told Katholisch.de, without detailing his actions. Bishop Wolfgang Haas was appointed head of the Diocese of Chur in 1990, when Cardinal-designate Rauber was president of the Pontifical Ecclesiastical Academy, which trains Vatican diplomats; Bishop Haas' appointment and ministry were opposed publicly by many of the diocese's clergy and laity, who accused him of being a conservative autocrat. 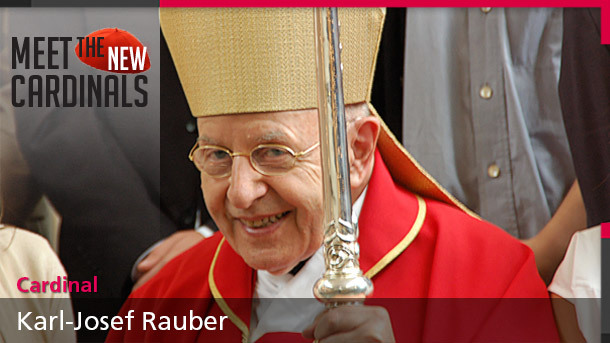 As the protests continued, St. John Paul II named Cardinal-designate Rauber his envoy to Chur in the hopes of finding a solution. 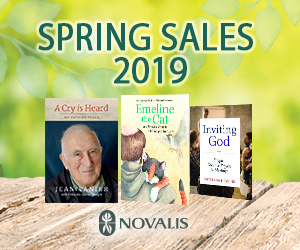 In 1993, St. John Paul appointed two auxiliary bishops for the diocese with the specific purpose of helping to "re-establish full communion" in the diocese. Relations worsened to the point that the pope replaced Bishop Haas in 1998 and moved him to an archdiocese in neighboring Liechtenstein. Born April 11, 1934, in Nuremberg, the future cardinal was ordained to the priesthood for the Diocese of Mainz in 1959. 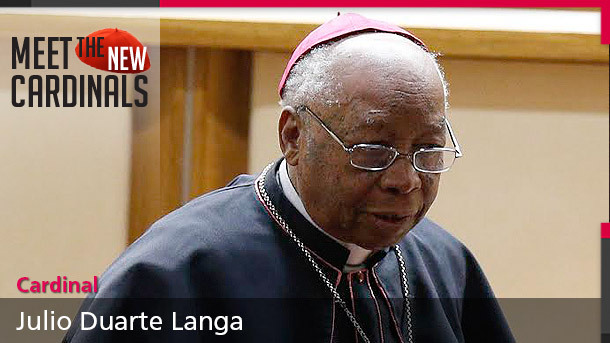 Three years later, he was sent to Rome to begin studies at the diplomatic academy and to earn his doctorate in canon law from the Pontifical Gregorian University. 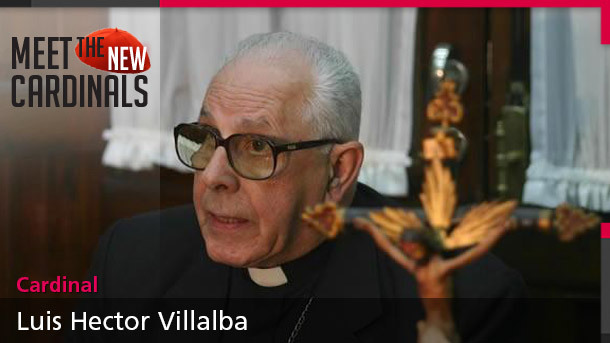 From 1966 to 1977, he worked in the Vatican Secretariat of State, eventually heading the German-language section. 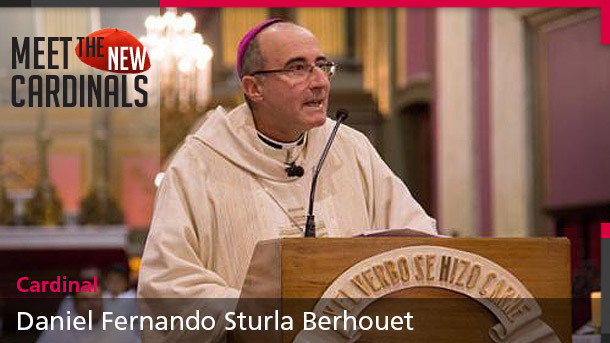 Sent into the field, he worked at Vatican nunciatures in Belgium, Greece and Uganda. Pope John Paul ordained him a bishop in early 1983, shortly after appointing him nuncio to Uganda, a position he held for seven years. In 1990, he became head of the diplomatic academy. Later he served four years as nuncio to Switzerland and Liechtenstein, six years as nuncio in Hungary and Moldova and six years as nuncio in Belgium and Luxembourg. He retired in 2009 at the age of 75.